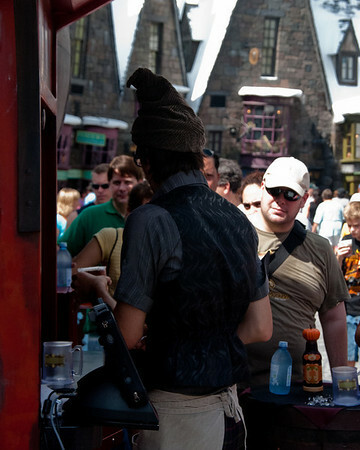 Next weekend is the grand opening of Universal's Wizarding World of Harry Potter. This weekend was the soft opening so I went over today to get a peak. I took a ton of pictures, but I think this one is a pretty good summary...people, pumpkin juice, and the butterbeer cart.